The first step in making a quilt is the most important step--the planning. I start with meticulously drawing the pattern out block by block. 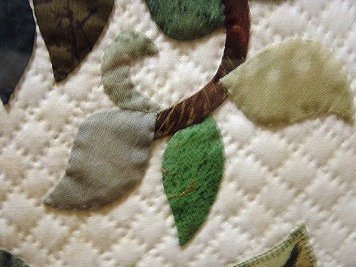 After choosing the background fabric, I then painstakingly choose the fabric for each flower petal and leaf. Templates are created, and individual pieces are cut out and then basted onto the block. At this point I still have the freedom to move pieces around until it is perfect! 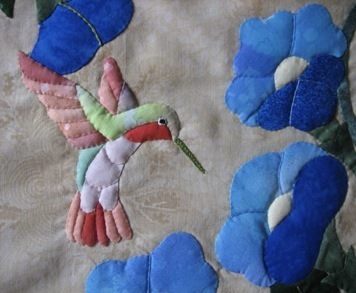 Then each piece is appliqued into place with my own special technique. Some pieces are accentuated even more by stuffing them with batting. You can see an example of this in the hummingbird. 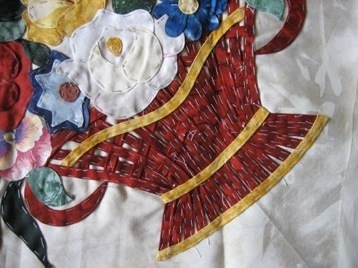 Special touches are added, such as embroidery or fabric paint. Then all the blocks are sewn together. 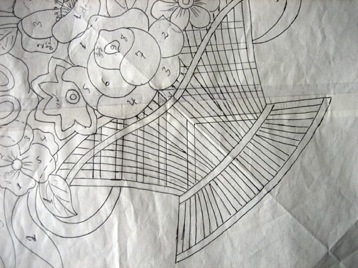 With a marking instrument I draw where the quilting stitches will go. 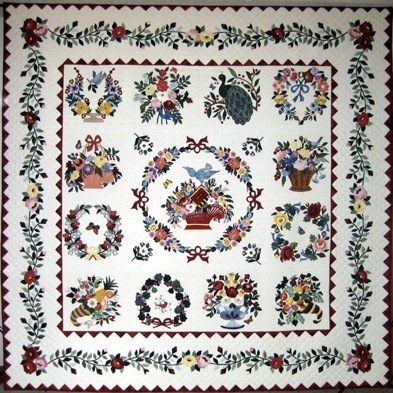 Then I take the top, batting, and backing to talented Amish quilters who will add the quilting stitches. Because the quilting is so important (and exciting), sometimes I will visit the Amish quilters 2-3x while the quilt is on the loom to check on its progress. 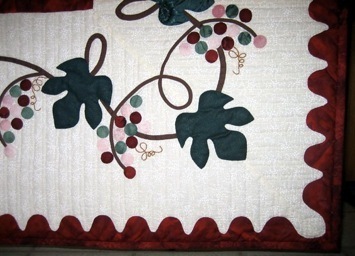 I finish the quilt by attaching the border.